Submitted by lynn on Tuesday, April 25, 2017 - 1:26pm. 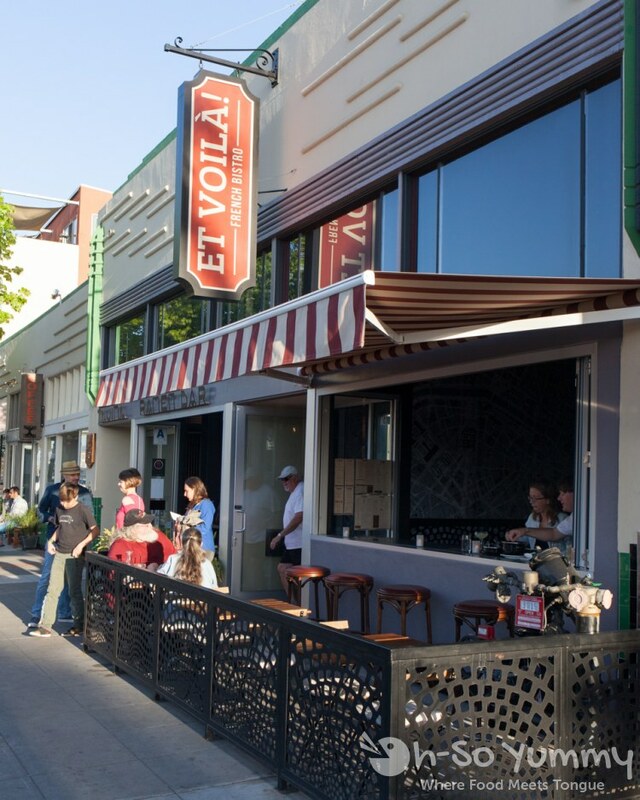 Our date nights are typically food adventures with one of our latest treks at Et Voilà French Bistro (through a media invite). Nothing is more romantic than looking deep into each other's eyes while gorging on cuisine known for its culinary excellence! We had an opportunity to meet owner Ludo Misfud as well as enjoy the inspired food creations of Executive Chef Vincent Viale. The restaurant itself was softly lit and calm with occasional clinks of wine glasses around us. The tables were lined with butcher paper with a design scrolled on the side. I noticed Bo-Beau did something similar except used their own logo. 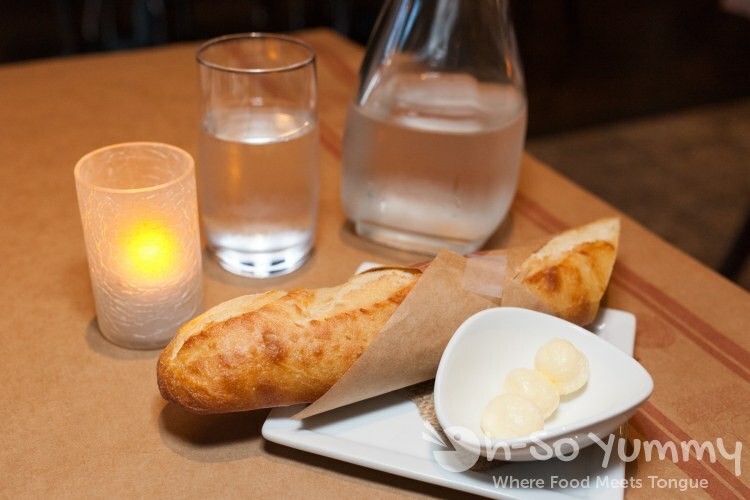 To start, we were brought fresh French baguettes with a toasty crust and a fluffy warm middle. The cold butter spread easily and we munched as we examined the menu. A multitude of appetizers, cheeses, classics, entrees, and even three types of foie gras were selectable, each titled in French followed by English descriptions. A separate vegetarian menu was also available, which was a thoughtful touch. For appetizers, the temptation of pork belly hit us again. 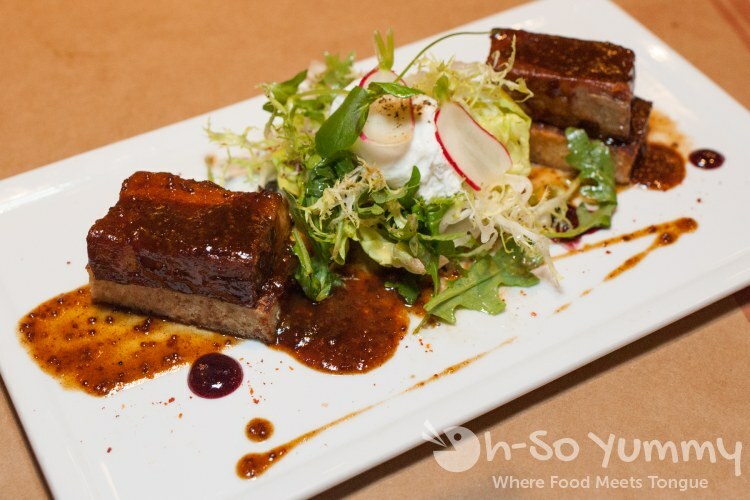 The top crispy layer thrilled us while the succulent meaty bits combined forces with a mellowed out hoisin-like sauce. Beneath it all was an airy egg-like cake, lightly sweetened, which we later realized was French toast! A soft yolk played hide and seek with sliced radishes in green pastures. The chunkier sized frisee did slip off our forks, making it more hassle to eat due to the size. This was one of the strangest looking appetizers we've had in a while. 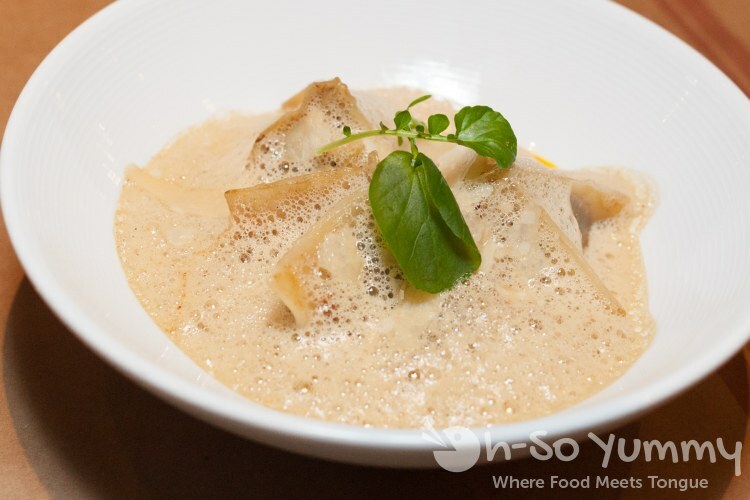 The treasures to be found were the castaway dumplings amid a foamy sea of mushroom sauce. The pasta had a nice chew while the minced mushrooms were soft yet had a meaty consistency. The flavor of the airy bubbles were hard to capture, even with Dennis's attempt to soak it into the bread! At best guess, it had a mild butternut sweet to me even though it was made with mushrooms! This was the appetizer size, which comes with three ravioli but there was also the entree option, which I believe had 5 total. The first entree was beautifully sliced with pink centers and darker crust, requiring minimal effort to chew. Halfway through, we both realized we were eating DUCK, not steak! Somehow the presentation played mind games with us! Up close I smelled "bacon" but Dennis schooled me further - it had the smokiness of hickory, but wasn't too heavy on the mesquite. The side of mini potatoes, roasted tomatoes, and thick but tender asparagus were next in line to my mouth! I would order this again and again! We've had good luck with duck lately such as the confit from Parc Bistro Brasserie. Our other dish was a mountain of meat to climb! I savored the fatty sections, which are always my favorite, but wished the rest of the meat had retained a little more flavor. Underneath was sauce soaked polenta which helped flavor the leaner portions of meat. 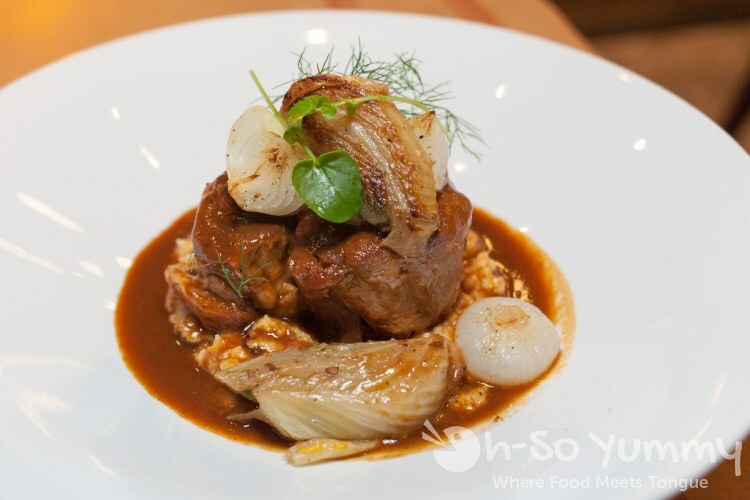 Braised fennel was a nice addition to the meal and I enjoyed unlayering the soft cioppino onions (both are items I rarely have a chance to try). We were already quite full but couldn't resist a chance to taste a souffle, which required at least 20 minutes notice! The aroma of passion fruit quickly enveloped us as it came into reach. A server showed us how it was done by first poking a hole, then pouring in the side sauce. The fruit flavor was totally infused into the eggy custardy filling. At the end Dennis dug around to get every bit of sugary crust from the cup rim. He couldn't resist the crystalized creme brulee style of it. The atmosphere stayed intimate even with over half the restaurant filled so it would work for date night or a night out with your crew of ladies/gentlemen. Thanks to our waitress Jessica and the rest of courteous staff, who brought out food, took requests, and checked in often on all guests. This little spot is a great addition to the other wonderful businesses on Adams Avenue such as Soda & Swine and The Haven Pizzeria. Cheers toward your next romantic dinner! Disclaimer: We were invited to dine here and our food was complimentary. We were not otherwise compensated and all opinions stated are our own. I passed by this restaurant after attending a movie at the Ken theater. It looked nice and cozy and thanks to you, the food sounds good, too! I'll have to go there soon! I didn't know about this restaurant until recently! It's nice to find new spots in this neighborhood. The duck and souffle look like perfect date meals. Those are two of my favorite things but I haven't seen them offered on a same dinner menu. How was parking that day? 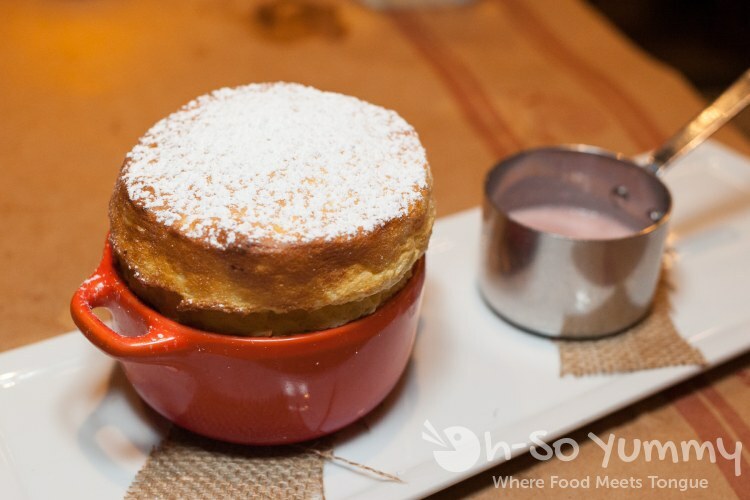 I rarely see souffles on menus so that is probably the first item to look for. 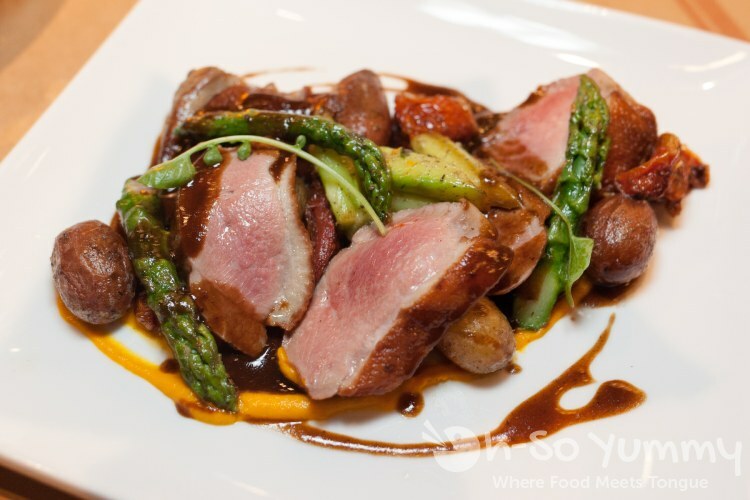 Duck seems to be available at most fine dining places but a good one? That's harder to pinpoint! We ate at 6pm on a Sunday and parked 1-2 blocks west so it must have been early enough. They are super close to the popular Polite Provisions which I'm sure gets packed as the evening draws close. One of our favorite "date night" spots Lynn. nice to know! i'll have to look for it on mmm-yoso too then! Pork belly looks great! I think I'd want to try it without the sauce. I have only been here for brunch and loved it both times. I really need to try dinner after seeing your post and Kirk's. I especially want to try that souffle. brunch sounds like something i should try here too! we got the dinner experience down. quite impressed to know it's a date night spot for kirk!